NASA have released the raw version of Friday’s #WaveAtSaturn photograph of the Earth from Cassini. 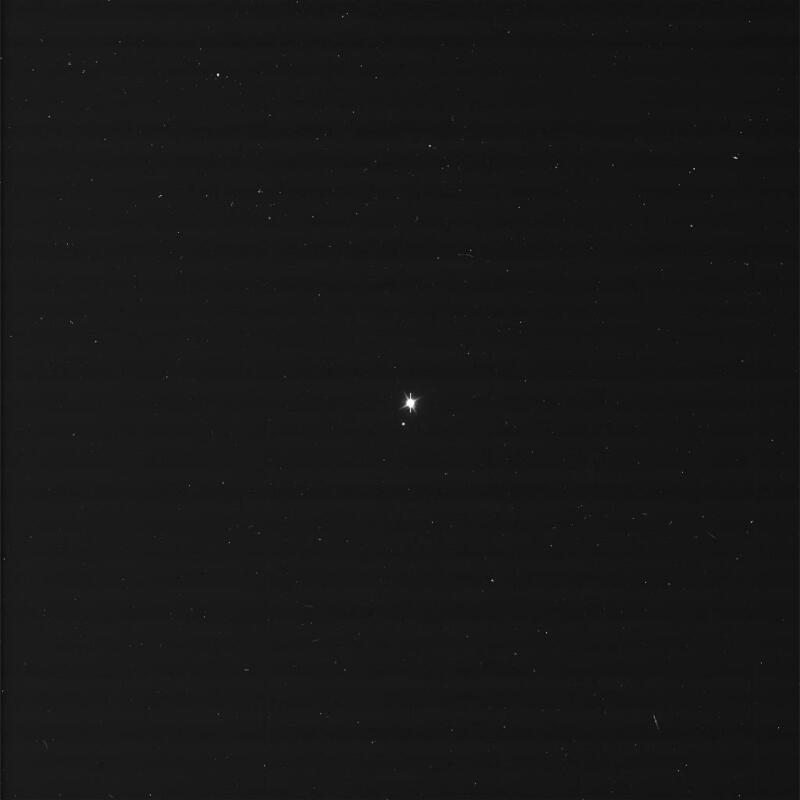 This image shows the Earth and the Moon as two bright stars; it was received on Earth yesterday, July 20th. The camera that took this image was 898,410,414 miles (1,445,851,410 km) away, on the Cassini probe orbiting the Saturnian system. A better, calibrated photo will be released in 2014.